ALBANY, N.Y. (CN) — Justice Paul G. Feinman was sworn in Wednesday as the first openly gay judge on New York’s highest court, replacing the late Judge Sheila Abdus-Salaam, who was the first black woman to sit on the New York Court of Appeals. Nominated to the Court of Appeals this summer by Gov. Andrew Cuomo, Feinman, 57, sailed through the nominating process and was approved by the Senate in June. “He is a talented jurist who has dedicated his career to public service and standing up for a fairer and more just New York,” Cuomo said upon nominating Feinman. 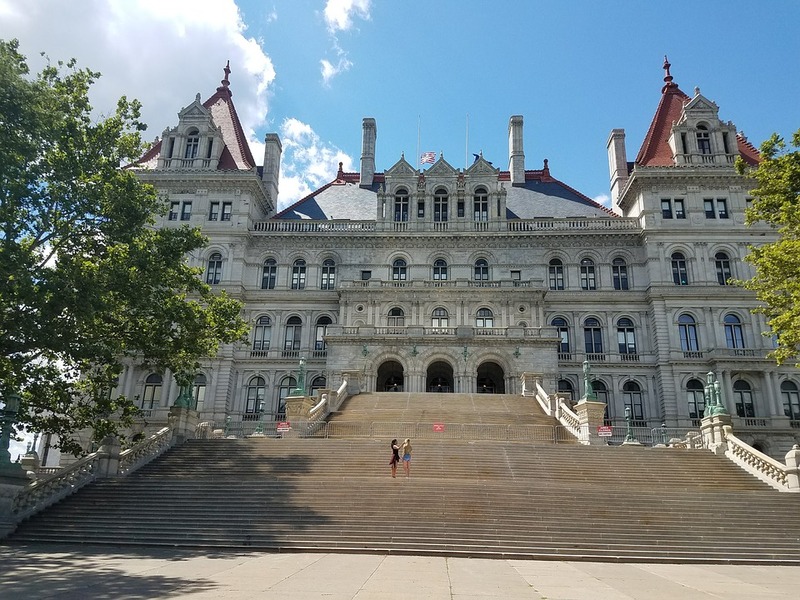 None of the state senators made an issue of Feinman’s sexual orientation at the hearing on his nomination, though one pointed out that he was replacing a black woman. “Certainly my entire career has been about promoting equal access and equal justice for all, and I hope I add to the diversity of perspectives that the court considers,” Feinman replied. Feinman replaces Judge Sheila Abdus-Salaam, the first black woman to sit on the New York Court of Appeals. Abdus-Salaam’s drowning death was ruled a suicide. She was remembered fondly by her colleagues Wednesday during Feinman’s swearing in ceremony. The seven judges on the Court of Appeals serve 14-year terms: a presiding judge and six associate judges. Feinman began his judicial career in 1996 with election to the Civil Court of the City of New York in lower Manhattan. He sat in the Criminal Court and the Civil Court in New York County before being named an acting state Supreme Court justice in Manhattan in 2004. He was elected to the court in 2007. Cuomo appointed him to the Appellate Division in 2012. Feinman received his law degree from the University of Minnesota Law School in 1985. He began his legal career with the Legal Aid Society of Nassau County on Long Island. Feinman and his husband, Robert Ostergaard, live on Roosevelt Island.